Who are the Gilets Jaunes, or Yellow Vests, protesting in Paris? Since late last year, we’ve been getting a lot of client emails asking us what the heck is going on with all of the protests in Paris recently. In case you haven’t checked out the news in France, nearly every weekend since early December, 2018, protesters calling themselves the Gilets Jaunes (or, Yellow Vests in English) have been marching in Paris and in other cities in France. Why you may ask? There’s so many articles out there with different views on what is going on, why the protesters are marching, and if Paris is still safe to visit. 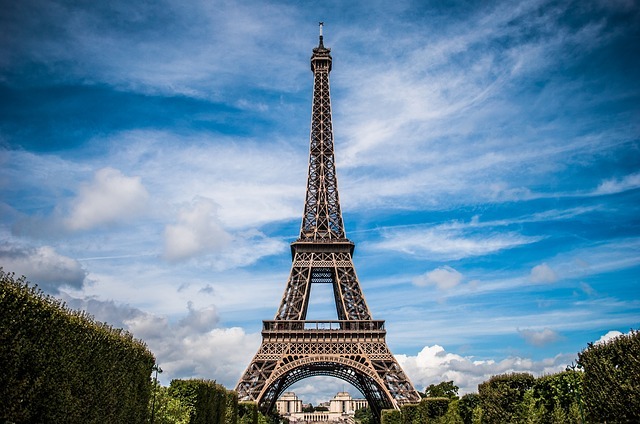 We like to keep politics out of our Sight Seeker’s Delight blog, but we thought it was important to write something up to help explain the situation, and to let you know that yes: Paris is still the safe city we all know and love! 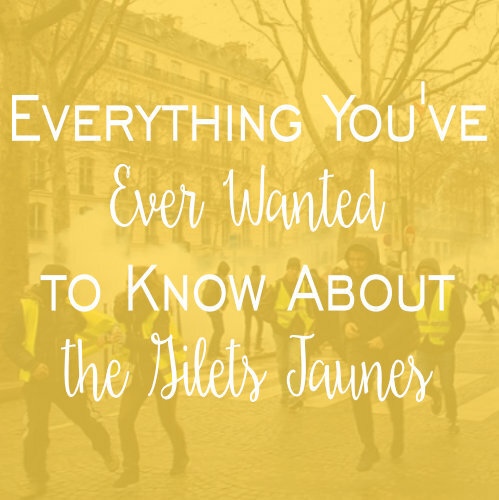 Keep reading for information on this movement, and our suggestions on what to do to enjoy your perfect Paris trip, even if there are protests going on. Paris has had a rich history of revolution, protests, and marches to support, or to challenge different political and social movements. 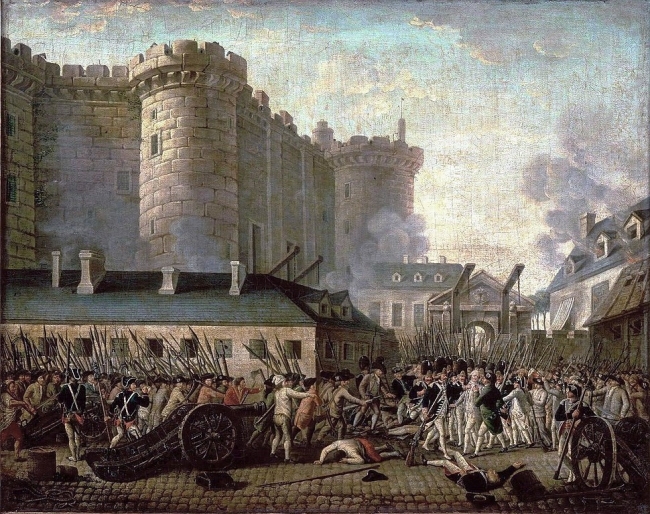 We could say that it all started with the French Revolution: that one time in French history when the people rose up against what they found to be an unjust nobility. When the French people were unsatisfied with how their King and Queen were running the country, they decided that the only way to change things was through a major upheaval of the French government. The high taxes, irresponsible spending habits of the nobles, and fact that the rulers seemed to be unconcerned with the plights of their citizens finally came to a head in 1789. The result? A very bloody and violent revolution, that did change the way things were, but ultimately ended with the rise of Napoleon Bonaparte as Emperor. This was just the beginning of a history of French citizens taking their lives into their own hands, and standing up for what they thought was right. Flash forward to May, 1968. This time around, it was the students of Paris who were unhappy. Well, it started with the students, but eventually became a much bigger movement than that. 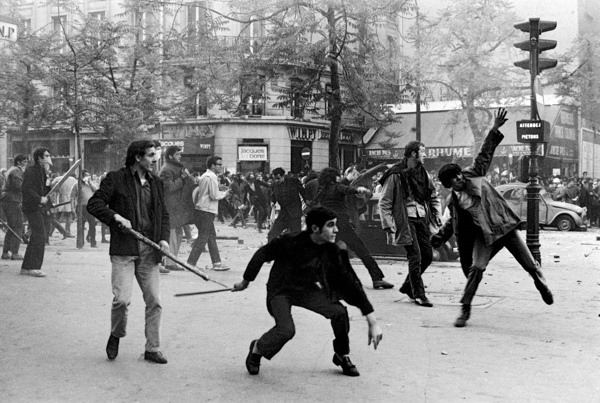 In the late 1960s, many young people in France were discontented with the growing influence of American capitalism, consumerism, and outdated traditional values that seemed to rule French culture at the time. 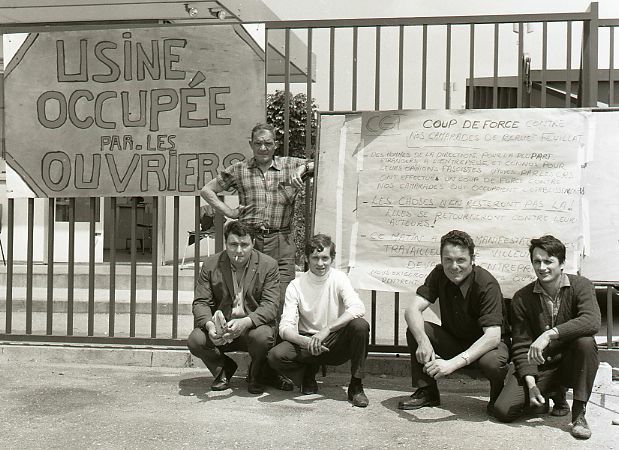 The strikes began at today’s Nanterre Université (the University of Paris at the time), due to conflicts between the university administration, students and local authorities. Due to so many conflicts, the university shut down and closed it’s administrative offices in early May. It is then that the word spread to students at the Sorbonne, and in order to show their support to their fellow students, a march was planned. The Sorbonne was then also closed, causing an even bigger uprising of students and university faculty. Pretty soon, word began to spread about what the students were up to, and hundreds of thousands of factory workers (11 million participated in strikes in 1968, to be exact!) began to speak out against low wages. French citizens rushed to Paris to join in the marches, and in other cities like Bordeaux and Lyon protests occurred as well. The protesters wanted a change, and for them, this change was getting current President Charles de Gaulle out of office. De Gaulle refused to resign, but he did approve of an election in Parliament. Once the election was approved, the protests died down, and things eventually became more calm in the capital. As you can see, throughout history, the French were not afraid to ask for what they want, and demand change when they thought it was right. It should come as no surprise, then, that today the Yellow Vests are marching throughout France, demanding what they think is right. The Yellow Vests are a group of protesters in France that are demanding an economic change. The movement began with the rising cost in fuel, taxes, and an overall high cost of living in France. Those living in rural areas are particularly affected, as they believe that rises in taxes on the middle and lower class are unjust. 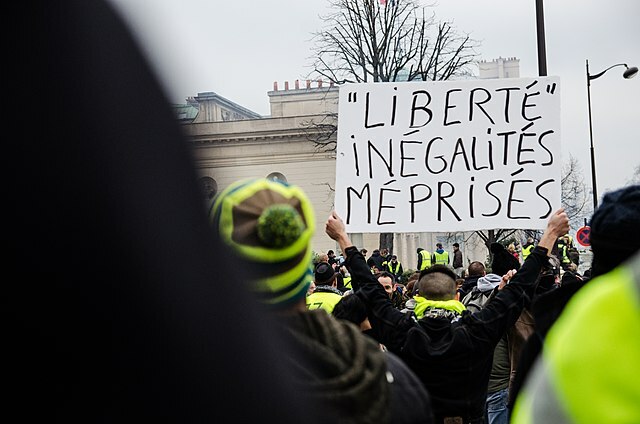 The protesters are calling for a tax on solidarity wealth, lower fuel prices, a higher minimum wage, and in some extreme cases, the resignation of current President Emmanuel Macron. It was originally the rise in fuel prices that pushed the Yellow Vests into fruition, and it is also for that reason they wear the neon yellow reflective vests when they march. 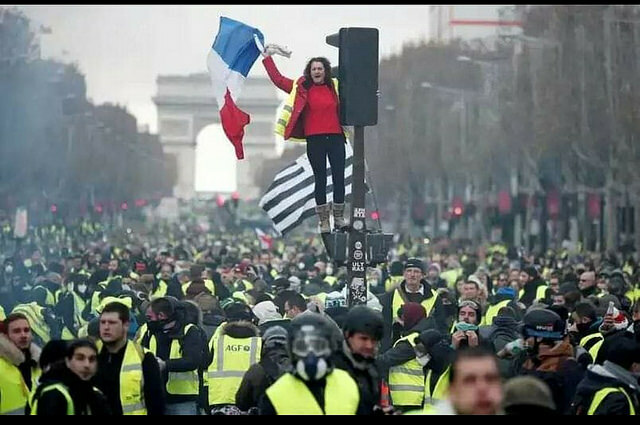 In France, it is required by law that every vehicle owner has a yellow vest in their cars at all times, for safety reasons. Unfortunately, like in many marches or mass gatherings, there are a few marchers that have taken things too far, resulting in damages across France. This section of the Yellow Vests are known in French as the casseurs. This translates as the “breakers”, and they have been known to destroy parts of monuments like the Arc de Triomphe, use tear gas, and set cars on fire. While this part of the movement is deplorable, it is important to remember that the casseurs make up just a small part of the group, and the majority of Yellow Vest protesters are peaceful. The protests have been ongoing since the beginning of December 2018. The question on everyone’s mind is: “When will it end?” To that, I don’t have a solid answer to give you, but I imagine that once the Yellow Vests see the changes that they are hoping for, things will begin to calm down. The short answer is: NO! There is absolutely no reason for you to cancel or change your plans because of these protests. Something that is really important to remember is this: the protests only occur on the weekends. What this means is that, yes, we suggest you avoid the Champs Elysées, the Tuileries, and the Louvre on Saturdays and Sundays, but during the week, you’ll find the area just as peaceful as ever! Over the weekend, why not check out areas that are away from the city center, like Montmartre, or the less-touristy areas of the 19th and 20th arrondissements? While there isn’t much we can do to end the protests, what we can do is not live in fear, or change our travel plans. Luckily, almost none of our walking tours have been negatively affected by the protests, and if they have been affected, it just meant a small change in our route. I hope this article puts you at ease! I know I personally feel very safe here, and so does everyone else on our team. What do you think of the Yellow Vests movement? Have you heard about it, wherever you are in the world? Let us know in the comments below! This entry was posted in History, News, Paris Activities and tagged gilets jaunes, Paris, protests, yellow vests. Bookmark the permalink. Thank you for this! As usual, the media on both sides of the pond have diluted the truth! Now I have a clearer understanding of the basis of this protest. It’s old as time with new players! All because of the $green$ and some having more, always wanting more, and taking away from those with very little!